Official residence of the President of Iran is located adjacent to the complex. Welcome to Tehran, the political, economic and cultural capital of Iran. The city of colorful lights, intriguing sounds and never-ending motion. 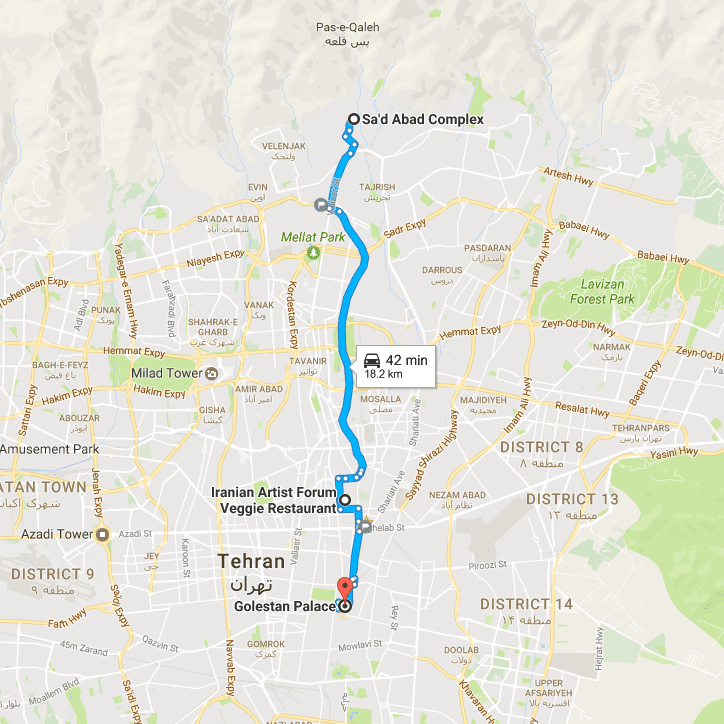 Tehran is the capital of Iran, The population of the city is almost 14 million with a metropolitan area population of approximately 17 million. Join us to show you Tehran beyond your expectations. In the morning we move to a World Heritage Site, the lavish Golestan Palace. Built during the Qajar Dynasty that rose to power in the late 1700’s, this fabulous walled complex is centered on a landscaped garden with tranquil pools. Many of the elements you’ll admire today date to the 19th century when local Qajari architects and artisans were looking to integrate traditional Persian style with elements of Western and Russian origin. The palace buildings are among the oldest in modern Tehran and they are still regarded as a crowning achievement of the Qajar era. Today you’ll enjoy lunch at a local restaurant we’ve selected for its delicious Persian cuisine and friendly ambience. The Iranian people are gregarious by nature and some of your fellow diners, once they hear you speaking English, may ask where you’re from! We will drop you off at your hotel OR city centre (Whichever is convenient to you). Airport transfers are not included for city tours.